Planning a birthday party is not an easy task but with the availability of birthday banner designs, it is easier than before! 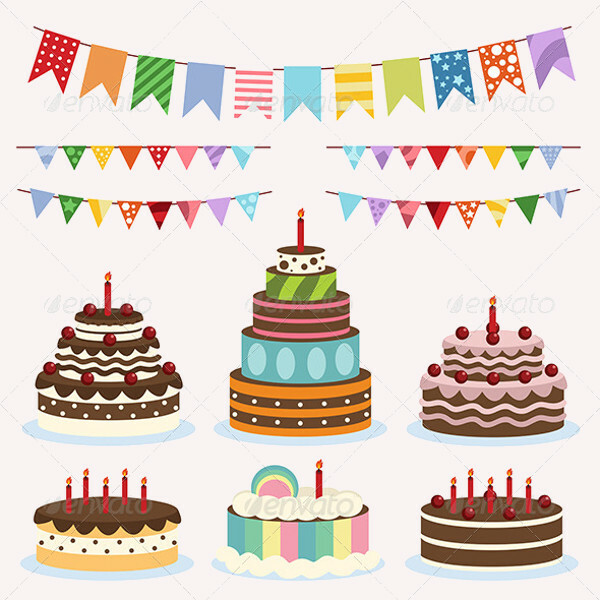 These party banners are obtainable in various colors, patterns, shapes etc. so you can make your selection depending upon your needs and requirements. 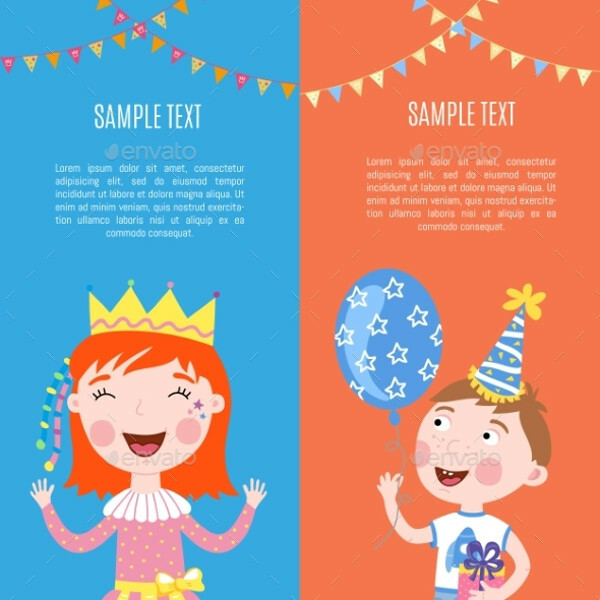 Using these birthday party banner, you can now create banners faster and accurate than before as most of them come in print ready format. Check out the collection of creative party banners now! You may also see Welcome Banner Designs. 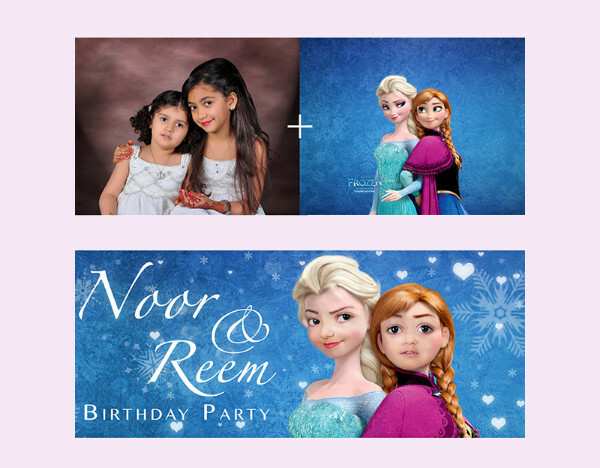 This is a highly editable birthday banner, which beautifully features Frozen theme design. 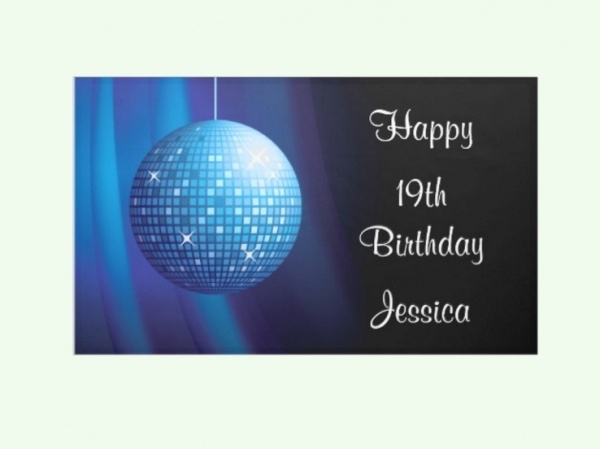 It is an exceptional party banner that can also be used as the invitation to the birthday party. You may also see Thank You Banners. This is a stunning black and silver birthday banner, which will help you add a vintage theme to the birthday party. 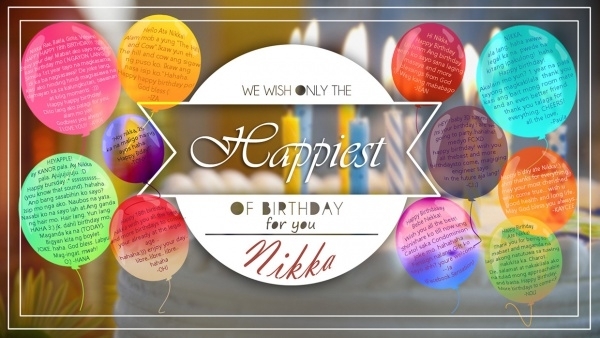 Follow the link mentioned below to download this intriguing birthday banner for absolutely free! You may also see Travel Banner Designs. 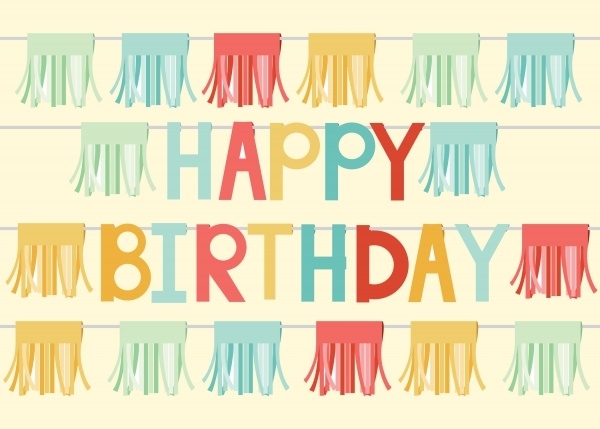 This is a colorful birthday banner, which has a simple and classic outlook. It is a professionally designed party banner that can enhance the beauty of the party venue. Click on the link quoted below to swiftly download the banner! 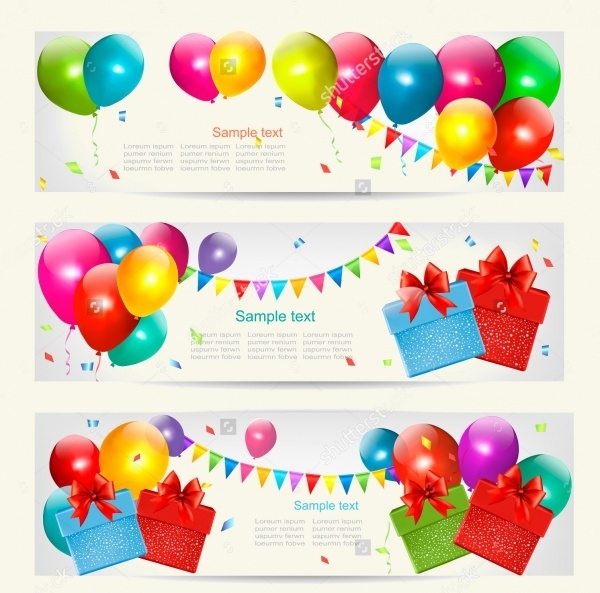 This is a colorful and cheerful printable birthday banner design, which will make your party look exciting. It features interesting birthday elements such as cake, balloons, gifts, birthday hat, and much more. 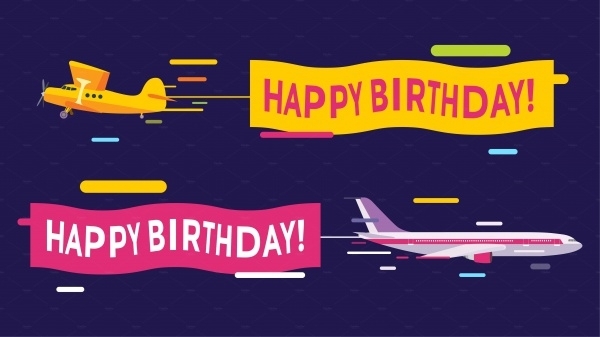 Here’s an excellent birthday party banner featuring plane flying with the happy birthday banner. It is a flat modern that contains the plane vector. It makes use of amazing color combination to make the layout look eye-catchy. 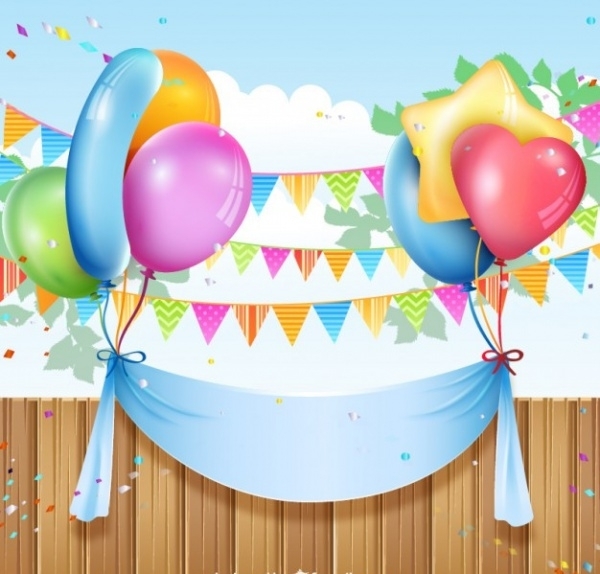 This is an exciting birthday celebration banner, which mainly showcases balloons and gifts. It suits the idea of birthday party perfectly. It also contains a specialized space for imprinting text. Here’s a set of Facebook Timeline birthday banner design that will come handy while wishing your family members on their birthday. 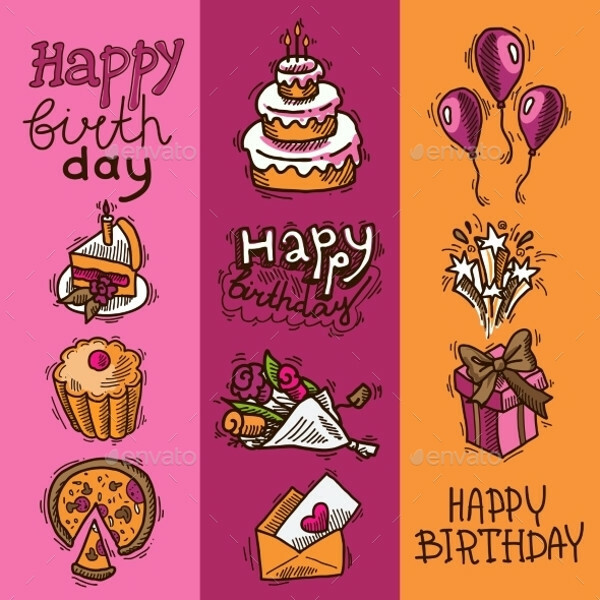 It contains 6 creatively designed happy birthday banners. 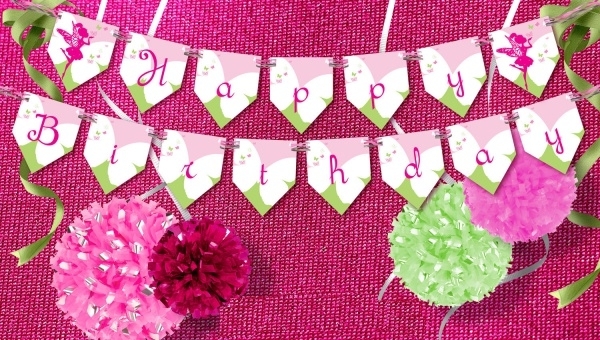 This is a handmade birthday decoration banner, which can also be used for greeting cards, invitation, etc. It showcases a blend of lovely colors and various design elements such as balloons, ribbons, stars, etc. Are you planning your child’s first birthday party? Well, then this 1st birthday banner design will be of your great use. This vector illustration design consists of enough space to display the details of the party. 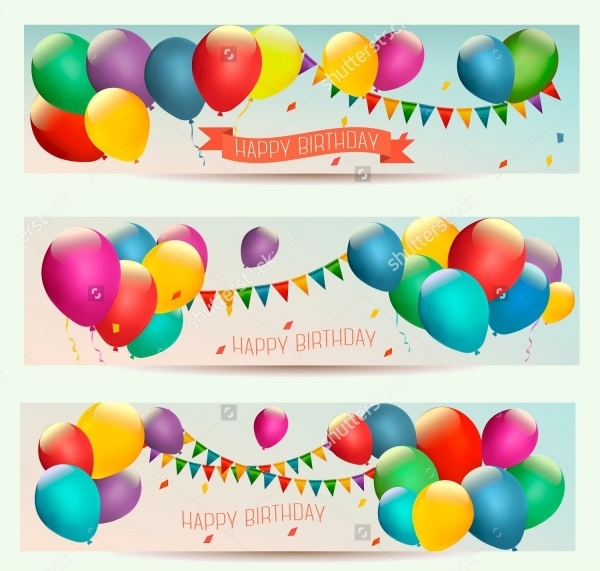 Here’s a collection of 5 colorful birthday banner showcasing confetti and balloons on the bright background. 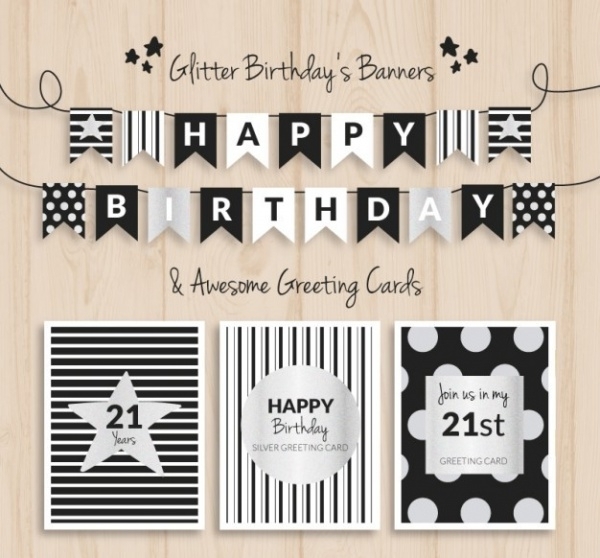 This vector set of foil birthday party banners is available for download in high resolution on the link displayed below! This is a personalized birthday party set that features banners and cakes that can be used for designing purposes. All the banners of the set are colorful and neatly designed for better results. 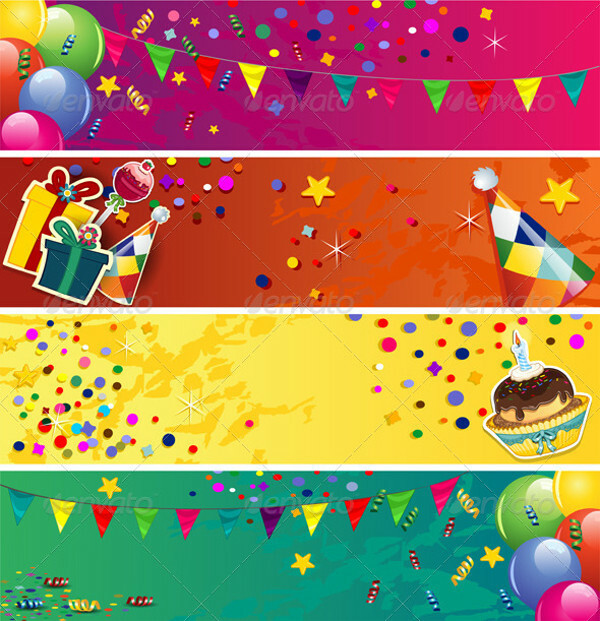 This is colorful birthday banner that will add more excitement to the birthday party. It displays balloons in lovely colors. Use the link stated below to download this eye-catchy birthday banner now! Here’s a handmade set of birthday sketch banners that are beautifully decorated using colors and other elements such as firework, flowers, etc. 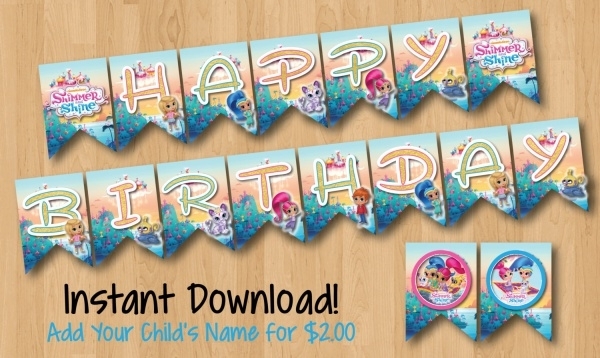 These foil birthday party banners are editable, so you can modify it as per your need. 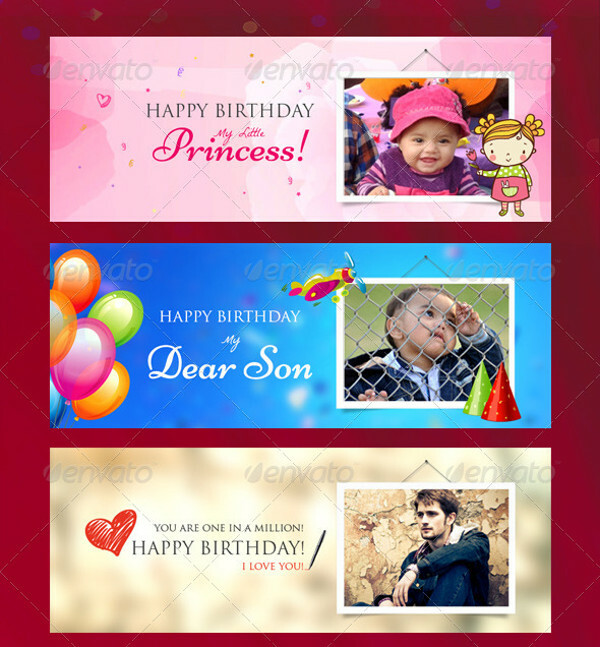 This is a lovely birthday banner, which lets you excitingly wish your loved ones on their birthday. It is professionally designed to beautifully showcase balloons, candles, and other items that portray the idea of birthday perfectly. 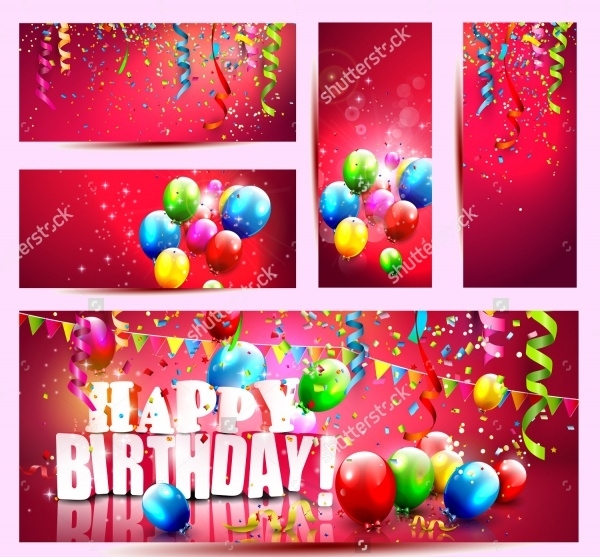 This is a charming pink color happy birthday banner, which you can use for the celebration of a birthday, greeting cards, invitations and so on. You can download it now using the link mentioned below! 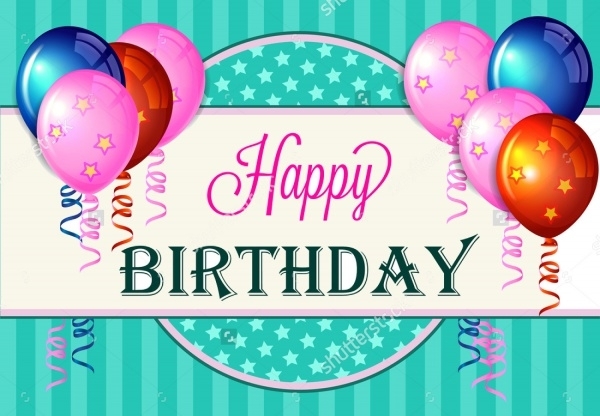 Now, creating birthday banners will never be a tough job, but to make it easier it’s better to stock these creative birthday banner designs in your library for future use. Also, check out the collection of awesome music banner templates that can be of your use in designing music related projects.